Say you call a potential partner multiple times hoping to get a face-to-face appointment, but you just cant seem to get them on the phone. Sound familiar? You’ve called different times of the day but it’s just not working. Your frustrated and you’ve reached a level of voicemails that seems too close to stalker mode to try again. How do you proceed? When is it time to switch means of communication and try to reach them another way? When is it time to stop trying to connect all together? HELP!?! To begin, if you are reaching out to a prospective partner for the first time via phone and you reach their voicemail, my advice is to hang up without leaving a voice mail. This gives you the ability to call back again within a day or two without need for explanation. If you sent an invitation letter first, tell them that you were calling in reference to the invitation letter you sent them a week ago and would love to connect with them further. If you are calling without prior context (no letter), communicate that you are wanting to talk briefly with no explanation. When communicating don’t give too much information on the phone or on voicemail – make it brief! I know, texts seem so much easier than phone calls. So why do I (and other financial partnership coaches out there) advise not texting for appointments? One major reason is it’s harder to say no to someone when they are asking for something verbally. Reading a text or Facebook Message can be forgotten unintentionally, easily be ignored, or conveniently ignored (let the reader understand). Right? Right. Phone calls are also more relational than texts. They often come across as more genuine, confident, and professional. And lastly, phone calls give you more of an opportunity to explain why you are calling and share more smoothly why you want to meet. If you share in a text that you are wanting to talk about financial support, it will likely read like a billboard (as my friend at Support Raising Solutions Aaron Babyar says). If you say it in a conversation, it seems much more palatable. So call people. I know you don’t like it. But do it. HOW MANY TIMES SHOULD I CALL BEFORE I QUIT? Typically, go 2-3 times beyond what you are comfortable with in trying to reach someone on the phone. From what I’ve seen, we are likely to stop ourselves short in attempted communication way too early. It’s likely our fear of rejection or insecurities in asking will get the better of our reaching out way before we become too pushy and cross a line. Switch up your mode of communication after several attempts via phone (my advice is 3 attempts at the very least) to a text message or a Facebook message. However, avoid written messages in asking for appointments whenever you can. July 1st – Attempt 1 to call Sally Jones (no voicemail). Essentially what I did with Sally is switch modes of communication. Instead of calling again I am now switching to text and email for the time being. It could be that I would decide to switch the communication method just to text, or to Facebook Messenger, or to just email. How I choose to switch it up is largely placed on past communication I’ve had with Sally, and what I’ve noticed her communicating with to me and others in the past. With Sally if I don’t hear anything via email or text from her at that point, I may put her in some type of organization system I keep with others I was unable to reach, and I will most likely try to reach out again after several months of waiting. There’s a lot of contingencies in the wide wide world or financial partnership development and phone calls, but I hope this post helps a bit as you think about your strategy in reaching people who don’t like to pick up the phone. What are your thoughts? What works best for you? Post it in the comments! I’d love to start a discussion here! This could be the perfect time of year to launch your campaign if your trying to get to 100% before the end of the year. This is actually a post from last year, but thought it would be good to share again because tis’ the season! 1. It is VERY IMPORTANT while doing your FB campaign to stay abreast on all likes and comments that come to you campaigners pages. Check them every day and more than once a day. Return comments with direct messages (DM) and likes with DM when it feels appropriate. It is your job to connect further with the people responding, and if they have commented or liked but haven’t given, chances are with a personal message from you they may. I try whenever possible to stay away from the words “fundraising” and “donor“when describing support raising as a ministry worker. 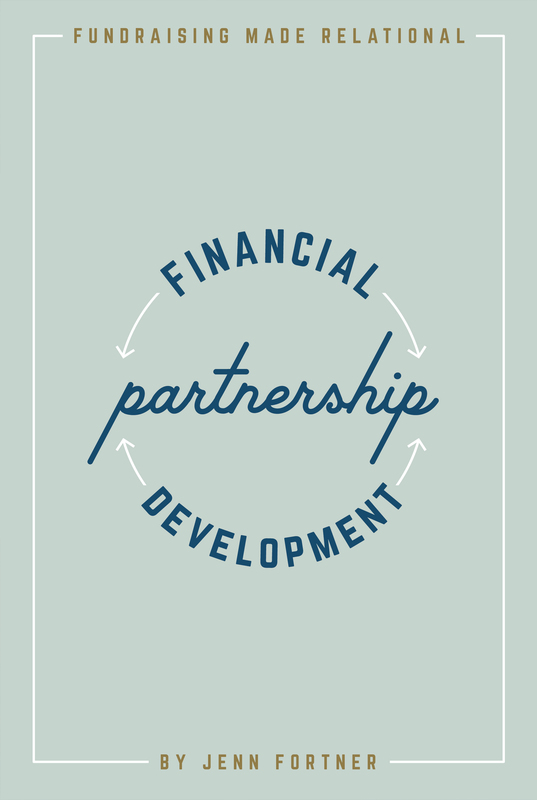 Instead I use the phrases “partnership development” and “financial partner“. Why you ask? The nuance lies within the overall perspective of raising one’s budget. The word “donor” denotes someone who gives blood, gives one time, or is involved in a limited transaction. “Fundraising” denotes car washes, bake sales, golf tournaments, and transactional events. Right? Right. Of course fundraising and donors are in and of themselves not bad. OF COURSE. However, neither indicate an ongoing relationship between the giver and the organization or ministry. If our perspective of raising funds leads us to believe all we are doing is fundraising, it is likely we will struggle raising our support because what we are doing is truly more than fundraising. Simply put: we do more than fundraise. We invite people to partner with us in ministry. I like that definition much more as it encapsulates a what a healthy perspective while raising a budget looks like. It clarifies that the one sending is vital to the ministry instead of merely standing on the sidelines. The word partnership keeps us mindful that we are to be good stewards of our resources as Christians, and stewards of our calling to the Great Commission – whether that looks like going or sending. “Partnership” says WE ARE DOING THIS TOGETHER. Experience has shown me that ministry workers who know the difference (in their hearts and attitude) between “fundraising” and “partnership” are those that succeed in raising their financial partnership teams. And FYI, success looks different than just getting to 100% and getting to the field fully funded. Again, think perspective — getting to 100% is only part of it. Success in partnership development looks like fulfillment, retention in partnerships, healthy mindsets, healthy relationships, joy, actual enjoyment in the process, and getting to one’s field in ministry fully supported. The opposite of success is strained relationships, procrastination, anxiety, 80% raised budgets being “good enough”, and low attrition in partnerships. I believe that success in partnership development is 90% perspective. Successful partnership development knows those that join your team are a vital and dynamic part of your ministry. Partner relationships become important, growing, and vibrant instead of obligations and burdens. I challenge you to take a look at your perspective in partnership development. Is it a fundraising perspective, or one of partnership? Why is it important to see it differently than fundraising? What’s the difference? Recently, I attended a conference where I met with numerous workers who have lived off of support for a long time. Some of them had been in their assignments for over 15 years! Most of the workers I connected with are coming back home to enter into itineration and wanted some advice on how to best navigate a new successful season of support raising. I hope this gave you some helpful ideas! Below are some links with further information.